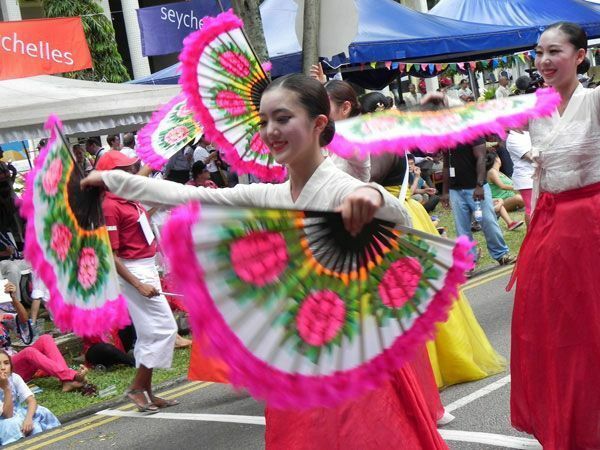 Seychelles, a small paradise island in the Indian Ocean, is organizing the 5th edition of the Seychelles International Carnival de Victoria where communities of nations get the opportunity to network and socialize in a relaxed atmosphere. The first of its kind, the carnival, which has grown every year, has come to be known as the “Carnival of Carnivals.” Seychelles Culture and Tourism Ministry has confirmed that Sweden will be represented by Katarina Barruk for their 2015 edition of the annual Carnaval International de Victoria. This carnival in the Seychelles has been credited to rank amongst the top five carnivals of the world. It remains the only carnival that manages to attract al the best and most known carnivals to parade together followed by cultural troupes from the Community of Nations. Ministries of Tourism and Tourism Authorities from many countries use the carnival in the Seychelles to showcase their country to the large contingent of international Press who flock to the Seychelles to cover this annual event. Alain St.Ange, the Seychelles minister responsible for Tourism and Culture describes the Seychelles carnival as a tourism trade show when tourism authorities use culture instead of colorful brochures. Sweden will be part of the long list of countries that has now confirmed their participation at this year’s edition of the carnival on the equator. Katarina Barruk is a young Ume Saami artist who will be flying the Swedish flag at this year's event. She comes from the small town of Storuman in the north of Sweden, where she was raised as one of a very few people in the entire world who can speak the Ume Saami language fluently. Katarina, who has dedicated a large part of her life to create music in Ume Saami, is a recent graduate from the Arts Programme at Midgård upper secondary school in Umeå, and she is currently working on her debut album together with the internationally acclaimed South Saami musician and producer Frode Fjellheim. Having been named the Young Artist of the Year at the International Indigenous Festival Riddu Riđđu back in 2012, and having performed extensively throughout the European Capital of Culture year in Umeå back in 2014, Katarina has used her well-deserved fame to become an out-spoken advocate for the Ume Saami language, which together with her love for music constitutes her two biggest passions in life. Katarina Barruk will be accompanied on her trip to the Seychelles by Lennard Swenson, the Seychelles Honorary Consul in Sweden.